Cardiff’s Tramways were always self-sufficient, never subsidised from rates, and generally managed to make a profit. 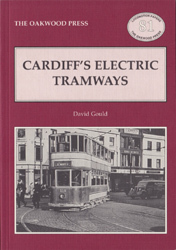 It was clearly one of the most successful transport undertakings in Britain; and there is no doubt that Cardiff was very much the poorer one the last tram had run into the depot on 20th February 1950. A5 format, 136 pages, 90 photographs / plans etc.